Volkswagen AG, Europe’s largest carmaker, plans to build and sell 10,000 electric cars in China from 2014 to 2018 as rivals add more fuel-efficient vehicles in the world’s biggest automarket. The German company will produce an electric model at local ventures with SAIC Motor Corp. and FAW Group Corp. as early as 2013 and is considering a battery-powered model specifically designed for the nation in 2018, said Karl-Thomas Neumann, president of Volkswagen Group China, at a conference on electric vehicles in Shenzhen, China yesterday. Volkswagen, the first overseas automaker to enter the Chinese market three decades ago, joins Nissan Motor Co., General Motors Co. and Daimler AG in planning electric vehicles in the country. While local demand for electric cars and hybrids trails other markets, China is offering buyers of plug-in hybrids and pure electric cars subsidies of as much as 60,000 yuan ($9,000) to help cut pollution and reduce oil dependency. The challenges include lessening the country’s reliance on electricity produced by coal-fired power stations and high battery costs, which make production of electric cars in China not feasible at the moment, Neumann said. The German carmaker will introduce its Touareg hybrid sport-utility vehicle locally this year and begin field tests of electric vehicles in China this year, VW said yesterday. 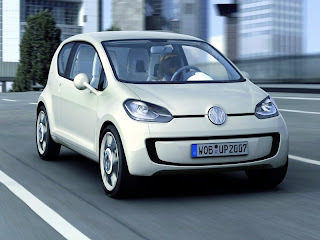 Shares in Wolfsburg, Germany-based VW rose 0.9 percent to 97.70 euros in Frankfurt trading on Nov. 5. The stock has risen 28 percent in 2010. 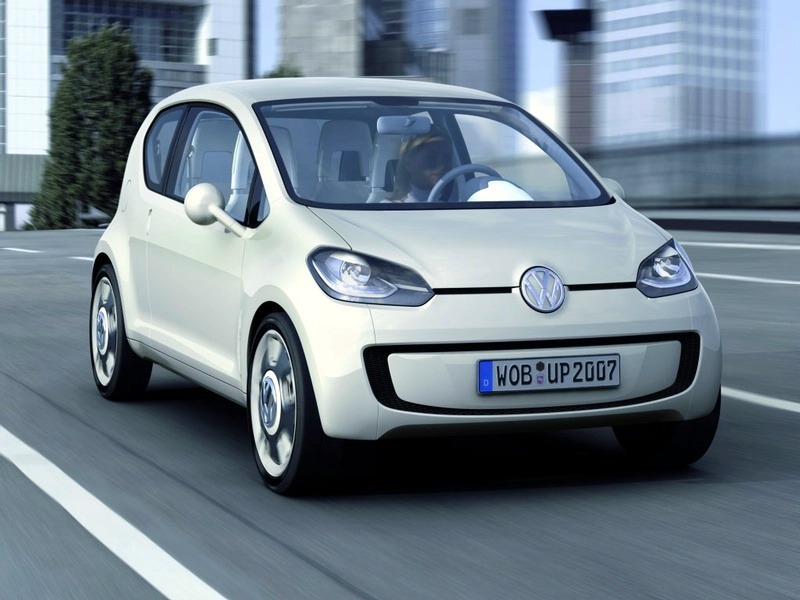 Other car companies are planning to introduce new electric models in China before Volkswagen. General Motors, the biggest overseas automaker in China, will add its Chevrolet Volt, which runs about 40 miles on batteries before using engine power, during the second half of 2011 and may introduce further models, the company said. “We’ll probably move to lead with lower cost cars, which are more designed around shorter trips and urban-use than some other parts in of the Western world,” Kevin Wale, president of Detroit-based GM’s China business, said yesterday at the electric-car conference in Shenzhen. Other markets such as the U.S. will require no-compromise electric vehicles that meet all the standards of today’s vehicles, he said. Yokohama, Japan-based Nissan, which plans to make as many as 500,000 electric vehicles a year globally by 2012, will begin tests of its Leaf electric car in Wuhan, China next year, Hideki Kimata, senior general manager of the Japanese automaker’s Chinese joint venture with Dongfeng Motor Co. said in September. Daimler and Shenzhen-based BYD Co. will be ready to introduce an electric car in the nation as early as 2012, Dieter Zetsche said in October. China will have as many as 20,000 plug-in hybrids and electric cars by 2013, Wan Gang, China’s minister for Science and Technology said yesterday. Still, Chinese consumers may lag behind more developed automarkets in their acceptance of alternative-energy vehicles. Researcher J.D. Power & Associates estimates China will account for less than 9 percent of the total plug-in hybrid and electric car demand by 2020, according to a study last month. Chinese consumers may buy 432,000 plug-in or electric vehicles in 2020, out of a total of 5.2 million globally, J.D. Power said. In Japan, hybrids already account for around 10 percent of car sales, according to the Japan Automobile Manufacturers Association. Toyota Motor Corp., the world’s biggest seller of regular hybrids, is testing feasibility of introducing plug-in hybrids and electric cars in China with its partners FAW Group Corp. and Guangzhou Automobile Co., Executive Vice President Takeshi Uchiyamada said yesterday. Even so, electric cars may be of limited use to many drivers and mainly used by those traveling short distances in cities because of the limitations of battery technology, Uchiyamada said. “We expect hybrids and plug-in hybrids to replace most of the gasoline-powered vehicles we have today,” he said. Fuel- cell vehicles may eventually become popular with drivers that want to drive longer distances, Uchiyamada said.